The European Union has operated a fisheries grant scheme for some years. The latest incarnation of the scheme is the European Fisheries Fund (EFF). The EFF offers grants to the fishing industries of EU member countries. These grants have one principle aim: to help the sustainable development of the European fisheries sector. There are various projects that attract EFF funding. Among these is the modernisation of fishing vessels. Owners can seek grants to buy and improve fishing gear, and to reduce the effect that fishing has on the environment. Other projects include support for communities that depend on fishing; marketing fish products more effectively; improving the quality of fish products; developing aquaculture and fish farming schemes; and improving facilities at fishing ports. Interested parties should apply to their national government. It’s possible to submit an application for an EFF grant that covers more than one government in the UK. A project may also involve all four UK areas. Such a proposal goes first to the UK Marine Management Organisation (MMO). Each of the governments makes a separate decision about the project. The MMO then discusses with the governments which one of them should lead the project and be the point of contact. EU Aid is a related fisheries grant scheme. Each EU member state must monitor and enforce the EU’s Common Fisheries Policy (CFP). This can prove costly. Enforcement bodies can therefore apply for funds from EU Aid. The MMO coordinates such applications for help in the UK. Each year, the MMO asks UK enforcement bodies if they need money for anticipated costs. The MMO collates the requests and submits them to the European Commission. The Commission then decides whether to issue grants to assist CFP enforcement. UK enforcement bodies that need funds should contact the MMO in the first instance. The Department for Environment, Food and Rural Affairs (DEFRA) gives money to the MMO for a further grant scheme, the Fisheries Challenge Fund. Strictly speaking, this money is not from the EU. But the Fisheries Challenge Fund relates to the CFP. The purpose of the Fisheries Challenge Fund is to improve the management of fisheries and help workers become involved in fishing industry research. The total money available is £70,000. Grant applicants should submit ideas for projects that meet the CFP and DEFRA intention to provide sustainable fisheries. Projects must also aim to solve a fisheries management problem. The grants can assist with analysis; research; social and economic studies; and biological issues. Applicants must state what contribution they intend to make to the project. This needn’t be money. Instead, it can be in the form of time and experience. MMO has also said that it is keen to see projects that give practical support to the work of Regional Advisory Councils (RACs). The UK government regards such support as vital. Hello. I have a 8.9m creel boat In west coast of Scotland. 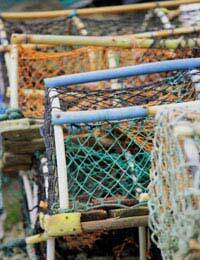 I’m looking forgrants for lobster parlour Creels and prawn Creels.to improve the quality of our catch. We are a small fishing club based in Northern Irelandand hope, in the near future, to build a fishing stand or stands to help expand access to the water for disabled and able bodied anglers alike. It would be appreciated if you could advise if any grants are availablefor this purpose. @thomas. Sounds like you've made a good start. Check out this page for information on specific funding and how to apply. Hi, Im looking to start a business as a launderette or as a small takeaway please could you help me with any grant funding that may be available to me?